It's cold weather outside and just perfect for a warm, hearty soup. Each time I play the game I try a new recipe, this one immediately said soup to me. 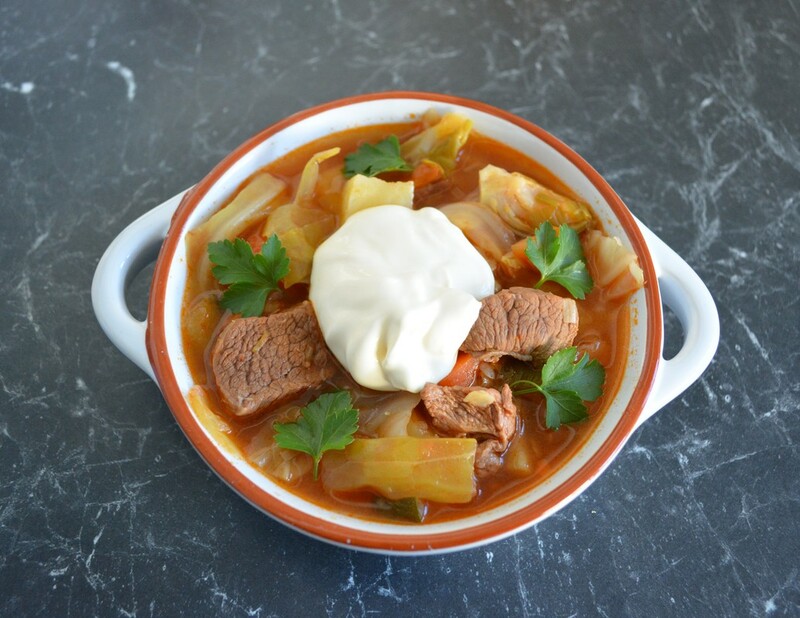 So I found a basic goulash soup recipe and modified it to suit the game. We loved it, it was so full of flavour, I loved it with the creme fraiche it just made it fabulous, while my husband had it without the creme fraiche and thought it was great also. The brussel sprouts weren't essential to the soup, but as it was one of the five ingredients I added them also. My family actually didn't mind them in the soup, everyone ate the brussel sprouts. Instead of the leek, you could chop one brown onion. You could use sebago potatoes instead of desiree and you can use sour cream instead of creme fraiche. If you like firmer zucchini, add them when you add the potatoes. 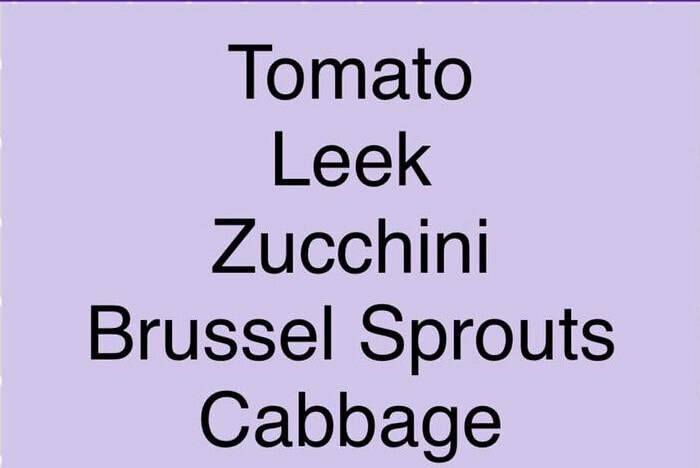 I quite like them soft, so I add them straight away with the cabbage. This is a hearty, delicious soup that is easy to make and is perfect on a cold winters day. Heat oil in the saucepan over medium-high heat. Cook steak in 2 batches, for 2 to 3 minutes or until browned. Transfer to a bowl. Add leek and carrot to the pan. Cook, stirring, for 5 minutes or until softened. Add the garlic and paprika, cook stirring for 30 seconds or until fragrant. Add the zucchini, cabbage, brussel sprouts, stock and tomato. Stir to combine. Add steak, season with a little salt and pepper. Stir. If the liquid does not cover all the ingredients, add enough water to cover. Bring to the boil, reduce the heat to low, simmer, covered, for 1 hour or until the steak is tender. ​After 1 hour, taste the soup, if you need to add vegeta, ad it now with the potatoes. Cook, partially covered, for 30 minutes or until slightly thickened and potato is tender. Taste, season with salt and pepper, if needed. Ladle into bowls. Dollop with creme fraiche. Sprinkle with chives.